By Sabrina Samra, Teacher in Shanghai (2015-2016). 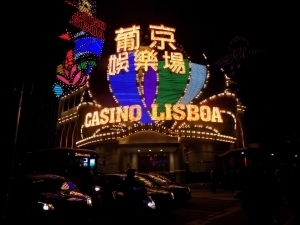 Macau is remarkable in that it has a fascinatingly beautiful combination of Chinese and Portuguese influence. It’s a region of southeast China filled with lots of history. This means that there are lots to explore culturally and historically. 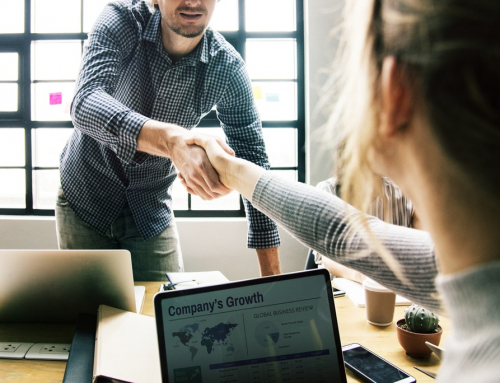 Coinciding with this is its ever-developing economy based on the nature of gambling and casino. Hereby, Macau is known as the Vegas of the East. It’s very close to Shanghai where I live, my flight was on Friday 18th March 2015 departing at 8am and arriving into Macau International Airport at 10:40am. In fact, it was only until I arrived and got speaking to my air bnb host that I realised Macau is within sight distance of Zhuhai; a city in China. Next time, I intend to explore here and get the ferry across to Macau. I’d recommend this to all – it’s probably cheaper too! My flights, booking just a week or so before, cost 1392RMB which is equivalent to £150 return. 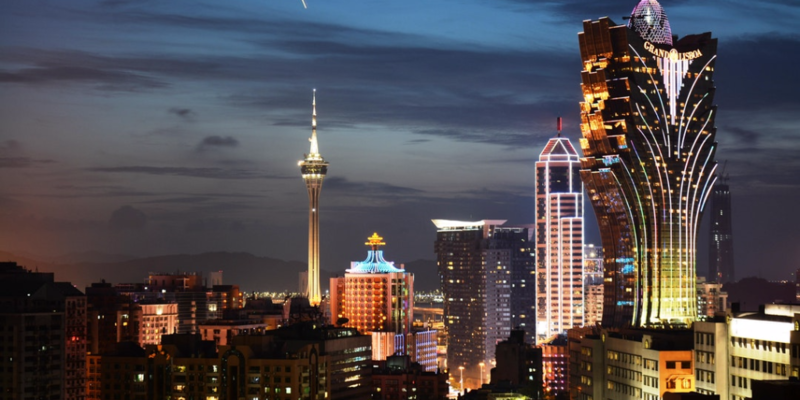 Macau was my first air bnb experience, as generally the hotels are extortionately expensive and hostels almost non-existent – in the centre at least. Now that I have gone air bnb I’m not going back! I’ve already used air bnb in Japan since this trip, and have an air bnb for South Korea booked. My host was amazing, helpful and her apartment was luxurious. If you are planning to come to Macau, search for Susie Lam on air bnb! Moreover, I was unlucky with the weather that weekend in Macau as it was very hot but extremely foggy. Nevertheless, I had the best weekend ever and it’s only inspired me to return to Macau in the future and see all the wonderful views in clearer, sunnier weather. I arrived to the apartment, dropped my things, freshened up and headed out to visit Saint Pauls Cathedral. From the bus station, I very easily caught either the 7a or 18a bus to Sa Ma Lo Station which is pretty much the central area of Macau with lots of things to see, varying from temples, ruins, parks, museums and amazing architecture. In Macau, I felt like I was in Europe. Portuguese is interestingly still the official language of Macau. The European feel in Macau is instigated by its amazing architecture and beautifully cobbled streets which I could not get enough of. Anyway, Susie my air bnb host had given me clear instructions on which stop to get off the bus – but in sheer awe of my surroundings, I missed it. What’s great, though, is that Macau is so small the bus did a circle round and within twenty minutes I’d gone all the way back around and got off at the right place. I walked along the narrow, cobbled, stunning streets and followed the clear green signposts for St. Pauls Cathedral. I remember turning a corner and seeing this incredible cathedral ruin in the distance. It looked astounding and as I gradually walked up towards it, I could not help but take lots of pictures. The ruin of St. Paul’s dates back to the 16th century. Next to the ruins was the fortress which has been transformed into an extremely informative museum – Macau Museum. I’d definitely recommend visiting the museum, it cost just 15 Macau Pataca (MOP) and I learnt all about Portugal’s control over Macau. Once you have explored around the museum, the fortress and the views at the top are the highlight. For me, it wasn’t perfect due to the foggy skies yet it was still amazing to be stood on such an old historical site. However, on a clear day… wow I cannot even imagine how amazing it would look. That’s why I definitely plan to return! I’d picked up a pastry for breakfast from the supermarket, but by this time I was hungry. For lunch, I decided to try a Macau speciality – the pork chop bun. It tasted succulent and flavoursome. I then wandered the cobbled streets and followed signs for a peasant cemetery and a park. Looking back I’d recommend you to walk down to Senado Square as it is close by and incredible; but at the time I didn’t realise but it was no harm done as I ventured there the next day. I wandered round, the park was beautiful and if you are into architecture – Macau is the place for you to visit. I was nearing upon 5pm so I decided to get the bus back to the apartment and take a nap, as I had an early start at 5am coming from Shanghai, before getting ready for an evening at the Venetian. I was ready and out by around 8pm. I decided to take the bus down and see the Senado Square. I’d recommend seeing it both in the day and evening. It looked so amazing; literally like Europe. From here, I took a taxi to the Venetian. I later realised there are many buses, including free “casino buses” that I could have taken rather than taking a taxi – so definitely take those if you come because famous casinos like the Venetian and City of Dreams are a little further out. Anyway, I don’t really gamble I just wanted to see and I had read online of a great Indian restaurant at the Venetian called Golden Peacock. The area was so grand and exquisite. 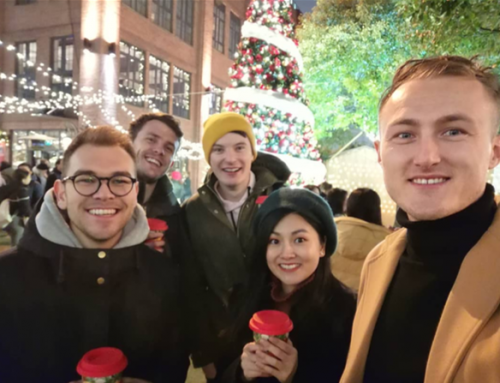 I wined and dined myself that evening, feeling so happy and blessed to have the opportunity to be doing this – purely because I was teaching English in China. The next morning I felt fresh, well-slept and excited. My plan for this morning was to visit Senado Square, explore that area, Mandarins House, Largo Do Lilau and A-Ma Temple. For the afternoon, Susie kindly offered to be my guide and take me for a local Macau lunch, and to explore the nearby cities Taipa and Coloane. I ate cereal at Susie’s and headed out to take the bus to Senado Square. The square was wonderful and picturesque. I loved how everything in Macau was labelled in both Cantonese and Portuguese, such as “Pharmacia Popular”. I wandered the lovely cobbled, patterned streets and became peckish. I decided to try the Macau speciality – Portuguese egg tart. It was DELICIOUS. It was sweet and tasted great. Nearby to Senado Square was an old Chinese-style house for people to see, its features were both western and Chinese combined. It was fine-looking and definitely something to pop in and visit; especially as it’s free. On my way to the square I entered the old cathedral. This was a beautiful, grand place and if you are looking for great free things to see in Macau – this would be one! I then headed to the A-Ma Temple, which was close to Mandarin’s House and Largo Do Lilao. The walk was about fifteen minutes from the square, and it was lovely. Every second I stopped to take a photo of the different patterns in the cobbled streets; they varied from crabs, boats, flowers, swirls, everything! I arrived at the A-Ma Buddhist Temple, which was remarkable. I loved how such an old temple blended into the area so naturally. It was a spiritual, calming visit. From here, I headed to Mandarins House and passed the stunning Largo Do Lilao square on the way. 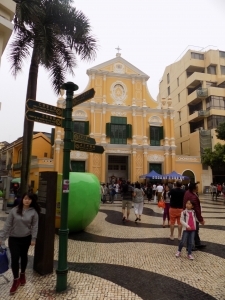 Macau is an island next to Hong Kong, so its streets often slope and can be very steep. However, it makes for beautiful, cute, narrow, steep, sloped, cobbled and winding streets. Mandarin’s House was phenomenal. It was also free entry (I want to emphasise that Macau can be explored on budget for sure!) and I genuinely would have paid to enter. It was incredible architecture. What I especially remember is the moon door. The Mandarin’s House has the characteristics of traditional Guangdong homes, whilst also adopting a unique combination of western influence. After completing my morning itinerary, I headed back to the apartment to meet Susie. We planned to have lunch and head to Taipa village and then Coloane. We ate lunch in Taipa village at a restaurant named Duckling. It was genuinely one of the best meals I’ve ever had. It was rice, pork and duck meat, with a sweet apricot dip. The dish is called siu mei rice 燒味, you have to try it! After this we explored the area which was so lovely. 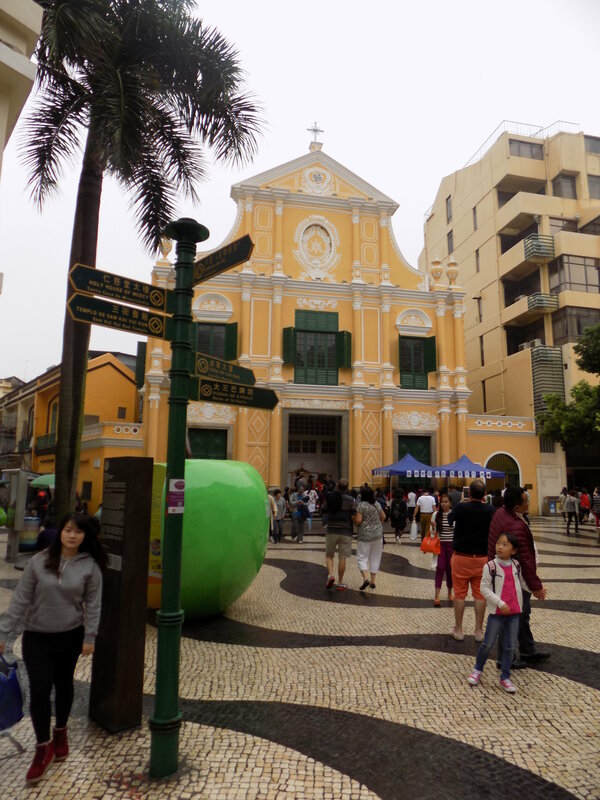 It had a grand, old, Portuguese-style cathedral opposite the registry office whereby all Macau weddings take place. The street I was on was named “Avenida De Carlos Da Maia”. Taipa Village was the most charming and delightful area. It had narrow streets, colourful buildings with intricate detail. From here, we walked to the bus stop for Coloane. Along the way, we passed the infamous, striking Casino area. Susie explained to me that Coloane was quieter, calmer and less touristic. She also said the Portugese Tart at Lords Stow’s Bakery was a must try, as they were the best in the city! On a clear day a view of China, Zhuhai is visible from Coloane coast, and a beautiful sunset can be experienced here. On my next visit, I will certainly catch this sun set and I recommend for you to do so too. The area was so charming. We wandered around Coloane which was by the sea. Susie took us to a local coffee shop hidden away in Coloane. I was still full from lunch but the local sandwiches, and flavoursome instant noodles are something to try for sure. We casually wandered and then stopped for an egg tart at Lord Stow’s Bakery. After our scrumptious treat we headed back for the bus stop! On the way back to central Macau, we would pass the casinos and head to the Venetian to see its Venice-like indoor canals and try to catch the free dancing water show at the City of Dreams Casino. I had read online that this dancing waters show was free, however maybe this was some years ago as we arrived and it wasn’t. The Venetian shopping centre is incredible. There are boats floating around, in aqua blue water, with fake but great clouds above. It truly is awesome and resembles the Venetian in Las Vegas. Macau is a beautiful combination of old-style, history, culture, beauty and a modern, developing, thrilling and exciting casino-culture. I feel this both clashes and compliment each other, as does the Chinese and Portuguese influences combined. It’s such an interestingly, beautiful place to visit. We headed to the City of Dreams which is conveniently directly opposite to the Venetian. However this was in dismay as the show was in fact not free so we decided to give it a miss! We then decided to gradually head back towards Macau using the free casino buses. This was an experience in itself. Macau by night is lit up, awesome, fun, exciting, colourful and alive. 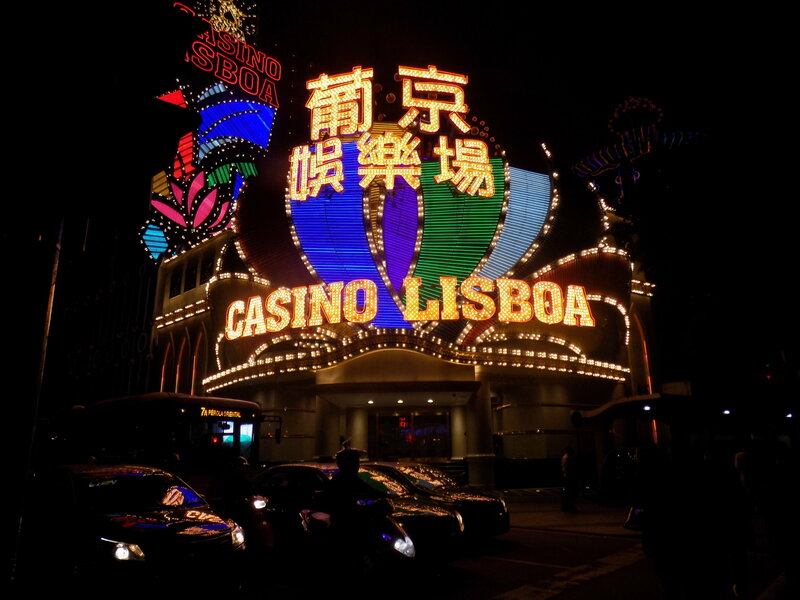 I saw the famous Casino Lisboa – old and new. 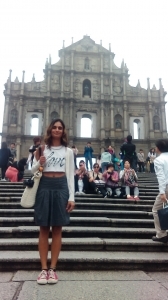 We then arrived into Macau and enjoyed walked around the streets, discovering lovely hidden gems, more beautiful architecture, cathedrals and the like. We then settled for dinner at a Thai restaurant. As lovely as the meal was, consisting of papaya salad, green curry and fish dishes, I’d recommend trying local Portuguese/Macau cuisine for sure. 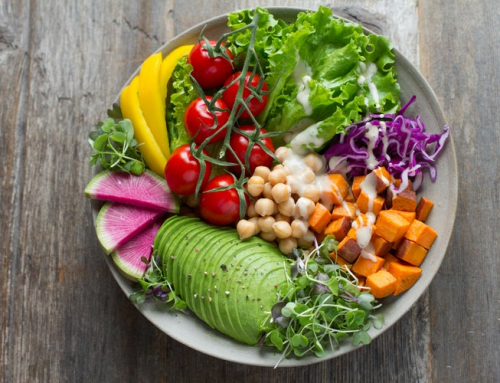 This meal wrapped up a wonderful day. The next morning my flight was at 1pm. I decided to wake up early, use Susie’s fancy gym facilities, shower and head to the airport by a convenient bus – A11. 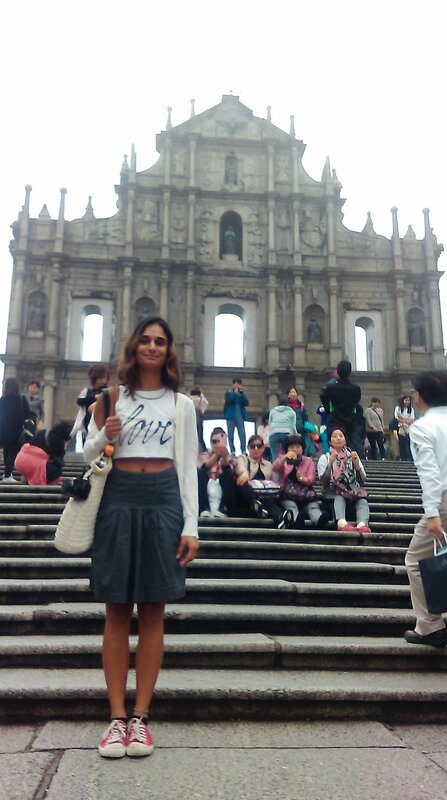 The two days I had in Macau had been lovely and well-spent. I felt like I had left China and Asia for a weekend in Europe. 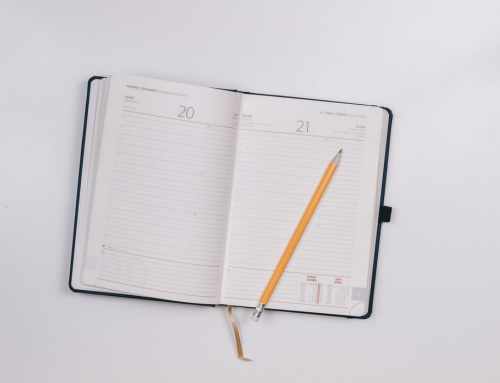 I arrived back to Shanghai in time to plan my lessons and begin the working week again that Monday! 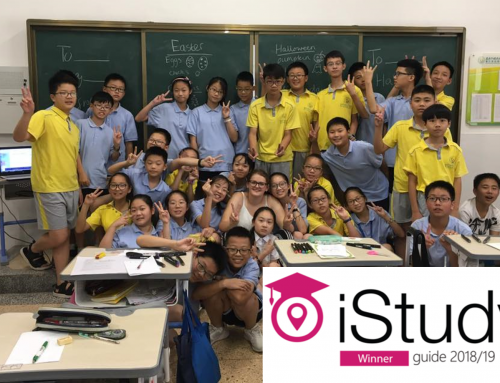 The beauty of teaching English in China, for me and many others, is the excitement, travel opportunity, fun you have, culture you get to experience, memories you create all over China and the world.